Mobile Number Portability (MNP), which was launched on April 22, 2013, refers to the change of network by a subscriber, while retaining his/her number. It is a way of restoring the customer’s status. Therefore, if one switches between service providers, he or she does not have to go through the trouble of informing friends, family, colleagues and other contacts because the number remains unchanged. MNP invariably guarantees freedom among subscribers to move from one operator, who has not met their service expectations, to another who they feel can, without losing their number. According to the former Executive Vice Chairman NCC, Dr. Eugene Juwah, and other telecommunications industry experts, the MNP was introduced to create healthy competition among the operators. According to NCC statistics, two months after the introduction of MNP, 13,923 subscribers ported in the months of May and June of 2013. Since then, the number has refused to increase significantly. A report by the NCC revealed how the four GSM operators in the country scrambled for and shared slightly over 160,000 subscribers that ported out of their respective networks last year. The report showed porting activities on mobile networks, mostly MTN, Globacom, Airtel and Etisalat, within the year. In the report, the network operators exchanged a total of 160,066 telephone lines, with Etisalat getting lion’s share throughout the year. Accordingly, out of the 14,330 telephone lines that ported out of different networks in January, only 12,494 lines later settled on new mobile networks based on their preferences in search of quality of service. Subsequently, of the 12, 494 incoming ported lines, Etisalat attracted 7,820 lines; Airtel had 2,342 lines, while Globacom and MTN recorded 1146 lines and 1,186 lines respectively. With a total of 14,955 incoming ported lines in February last year also, Etisalat also came first by attracting 9,187 telephone lines, followed by 2,758 incoming lines on Airtel network. Globacom came third with 1,532 lines, while MTN had 1,578 lines. In March of the same year, of the 15, 394 incoming lines, Etisalat had 10,111, Airtel had 2, 289, MTN had 1, 559, while Globacom attracted only 1, 435. Also, in April, Etisalat maintained the lead by attracting 9,875 of the total incoming ported lines of 15, 519, while Airtel, Globacom and MTN recorded 2,933; 1,717 and 994 lines respectively. Etisalat still held sway in May with a total 12, 252 lines out of the total 18, 135 incoming ported lines. Airtel came second with 4,161lines, while Globacom came third with 1, 065 lines and MTN with 657 lines. Of the total 21, 060 telephone lines, whose users engaged incoming porting in June, Etisalat had 13, 382, while Airtel, Globacom and MTN shared 6, 290 lines; 850 lines and 536 lines in that order. Also, Etisalat shared 14, 125 incoming telephone lines; Airtel, 6,613 lines; MTN 951 lines and Globacom with 850 telephone lines in the month of July. The trend continued in September, when the telecoms regulator said Etisalat had 12,898 lines of the total 20, 349 ported incoming lines. Meanwhile, the overall report shows that the total number of telephone lines whose users ported since the introduction of MNP in 2013 has reached 379,767. The figure represents the accumulation of all the monthly outgoing lines from various networks. Analysts said that major factors driving the decision of subscribers to port from a network to another is the quality of service delivery provided by the receiving network. The NCC, in 2012, had set strict Key Performance Indicators (KPIs) on Quality of Service (QoS) for telecoms operators and has continued to sanction operators for not meeting the QoS parameters. It said the MNP scheme was introduced to boost competition among telecoms operators on the provision of quality service while also providing wider choices for the subscribers. FOR subscribers, the process has presented mixed feelings. While some are happy they ported from a network to another, others are of the opinion that the process failed subscribers’ expectations from the beginning. According to Adeoye Adegoke, the initiative has helped him to migrate from a ‘stingy’ network, to a more ‘rewarding’ operator. Adegoke, however, urged NCC to continue to beam its searchlights on the operators, stressing that some still frustrate subscribers’ plan to switch. Beatrice Unuegbu, a Yaba market petty trader, commended NCC for the porting initiative. According to her, the process has provided succor to customers.Unuegbu, while narrating her ordeal with Globacom, said what actually triggered her migration from the network was the manner with which her credit was been deducted. “For the better part of 2014 into early 2015, it was a nasty experience on the network. I still can’t explain what the challenge was then. Immediately I loaded credit on the line, most time, I load N500 at least to take me for three to four days, but within two days it was drained without making more than three calls. I complained vehemently, but nothing was done. So when I got wind of MNP and that you can still retain your number, my brother, I ported. I moved to MTN. But I also discovered they too have problems. I am now even considering porting to Etisalat. For Ralph Adekola, MNP initiative failed from day one. According to him, “the ownership of many sims, to me, made mockery of the whole process,” he said, adding that none of the four operators provide excellent service. Speaking with The Guardian, the Public Affairs Director of the NCC, Tony Ojobo, said MNP is a need-based, value-added service for willing subscribers. He stressed that the objective of MNP was to provide alternative for subscribers, saying that it was done to remove the lid that locked them up to a particular telecommunications operators. “Then, the subscribers had no choice at all, but MNP brought relief. It puts power in the hands of the subscribers. 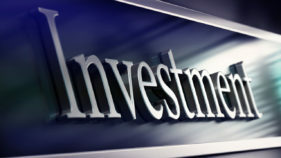 It has been successful, providing alternative for consumers,” he stated. Ojobo said the initiative put the operators on their toes, “because they know that if you failed to improve your services, subscribers would move out in their thousands, which was what actually happened. However, Ojobo said MNP is not a compulsory service that people must subscribe to by force. According to him, if a subscriber sees a need for it, he or she may switch from his or her current network to another and if not, he or she remains on its current network. According to him, the commission would look at the current grey areas in the scheme and makes amend where and when necessary. Sanctions for defaulters.As earlier promised, the NCC fined MTN Nigeria and Globacom N34m for breach of the MNP business rules and regulations. 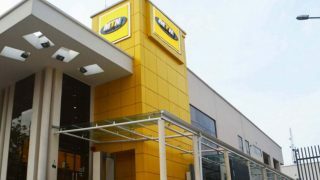 According to the Compliance Monitoring and Enforcement unit of the NCC, Globacom was fined N22m, while MTN was fined N12m.The commission said that series of compliance checks were carried out regarding timer violations by Donor operators with respect to “validation and deactivation responses,” which had timelines of two hours and one hour respectively.According to NCC, there is a timer deactivation violation by MTN, regarding a Corporate Port request of over 109 lines belonging to Nigerian Breweries Plc. 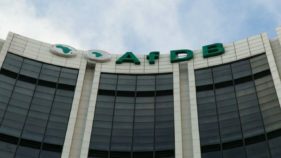 “The company had initiated a corporate port out request from MTN to Glo via lead Mobile Station International Subscriber Directory Number (MSISDN) on Aug. 11, 2015 at 1.20 p.m. but was partially completed as at 11.22 a.m. on August. 14, 2015. For Globacom, NCC claimed there was a timer validation violation by the telecommunications firm regarding 11 individual and one corporate port requests.It said that Glo had breached the two hours allowable for validation of six port requests from the NPC as stated in the MNP Business Rules. Glo validated one of these port requests over nine hours after receipt from the MNP administrator.The report also said that Glo breached the allowable one-hour for the Donor to deactivate 147 Ported out lines belonging to Reckitt Ltd, consistent with provisions of the MNP Business Rules. It however, said that all the above timer violations were undergoing enforcement actions. After investigations by the regulatory body, MTN and Globacom were found wanting, hence, sanctioned to the tune of N34m in the Q4 2015. 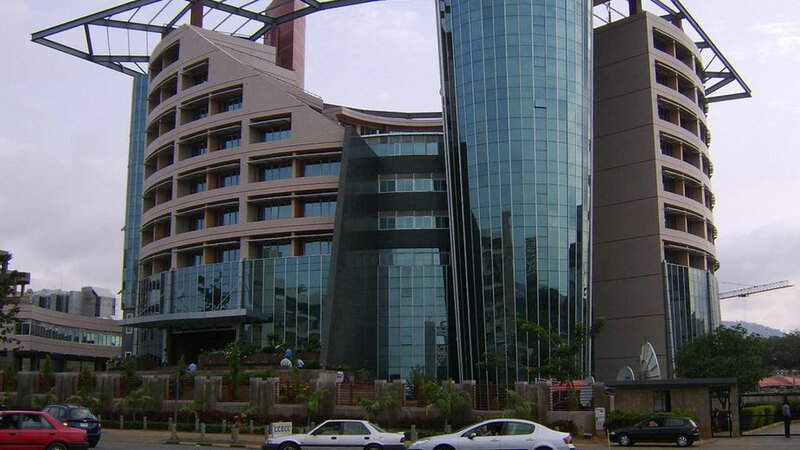 According to the commission, its activities are consistent with Section 89 of the Nigerian Communications Act 2003.The section mandated NCC to “monitor all significant matters relating to the performance of all licensed telecoms service providers and publish annual reports at the end of each financial year’’. NCC explained that it had developed Compliance Monitoring and Enforcement strategies to ensure fair competition, ethical market conduct and optimal quality service in the telecom industry.On the challenges confronting the porting initiative, Chineze Amanfo, Public Relations Manager, Regulatory and Corporate Affairs Division, Etisalat Nigeria, said a major challenge of MNP is that currently, porting can only be done by physically going to a customer care office, a retail shop or an authorized dealer outlet of the service provider a customer is willing to port to. Amanfo said porting cannot be done over the telephone, online or other electronic means. She stressed that the subscriber is expected to visit the customer care office, retail shop or outlet of their chosen new service provider and meet with the authorised sales person with request to port their number.According to her, another challenge is transferring credit balances when porting. “The rules currently provide that pre-paid customers will not be able to take their credit balance with them to their new network. In that case, any credit balance must be used up before the customer ports otherwise they lose the credit. This rule creates an artificial barrier because it prevents the porting process in a number of ways. Overall, we commend the NCC for developing clear policies and continuously modifying some of the policies to guide MNP,” she stated. Amanfo said Etisalat’s focus for MNP was to provide its existing and new customers with the best experience through innovation, customer care, quality of service and operational excellence.